Dadbloguk.com was launched by John Adams in 2012 after he gave a up his career to look after his two children. He decided to write about his experiences of being a stay at home dad after experiencing first-hand the latent sexism faced by many fathers who choose to become primary carers. 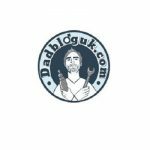 Dadbloguk.com has an audience of thousands and is ranked third on the Vuelio media database of top UK daddy blogs.